2 Academy Awards, 4 Golden Globe Awards, 1 SAG Award, 2 BAFTA Awards. He first came to fame in 1967 with his performance as Buck Barrow in Bonnie and Clyde, when he received his first Academy Award nomination for Best Supporting Actor. His major subsequent films include: I Never Sang for My Father (1970), when he received his second Best Supporting Actor nomination; The French Connection (1971) and French Connection II (1975), when he played Jimmy "Popeye" Doyle; The Poseidon Adventure (1972); The Conversation (1974); Superman: The Movie (1978), when he played arch-villain Lex Luthor; Hoosiers (1986); and Mississippi Burning (1988), when he received his second Best Actor nomination. 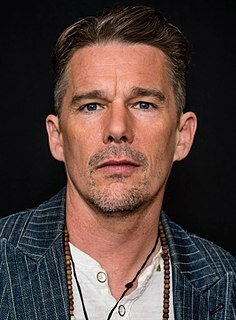 His film roles during the 1990s featured: Unforgiven (1992); The Firm (1993); The Quick and the Dead; Crimson Tide (1995); Get Shorty (1995); The Birdcage (1996); and Enemy of the State (1998) Later roles included: Behind Enemy Lines (2001); and The Royal Tenenbaums (2001). Hackman's final film appearance to date was the romantic comedy film Welcome to Mooseport in 2004, co-starring comedian Ray Romano. Hackman was born in San Bernardino, California, the son of Eugene Ezra Hackman and Anna Lyda Elizabeth (née Gray). He has one brother, Richard. He has Pennsylvania Dutch (German), English, and Scottish ancestry; his mother was born in Lambton, Ontario. His family moved frequently, finally settling in Danville, Illinois, where they lived in the house of his English-born maternal grandmother, Beatrice. Hackman's father operated the printing press for the Commercial-News, a local paper. His parents divorced in 1943 and his father subsequently left the family. Hackman decided that he wanted to become an actor when he was ten years old. Hackman lived briefly in Storm Lake, Iowa and spent his sophomore year at Storm Lake High School. He left home at age 16 and lied about his age to enlist in the United States Marine Corps. He served four and a half years as a field radio operator. He was stationed in China (Qingdao and later in Shanghai). When the Communist Revolution conquered the mainland in 1949, Hackman was assigned to Hawaii and Japan. Following his discharge in 1951, he moved to New York and had several jobs. His mother died in 1962 as a result of a fire she accidentally started while smoking. Acting was something I wanted to do since I was 10 and saw my first movie, I was so captured by the action guys. Jimmy Cagney was my favorite. Without realizing it, I could see he had tremendous timing and vitality. In 1956 he began pursuing an acting career; he joined the Pasadena Playhouse in California. It was there that he forged a friendship with another aspiring actor, Dustin Hoffman. Already seen as outsiders by their classmates, they were later voted "The Least Likely To Succeed.". Furthermore, Hackman got the all time lowest score at the Pasadena Playhouse at the time. Determined to prove them wrong, Hackman moved to New York City. A 2004 article in Vanity Fair described how Hackman, Hoffman and Robert Duvall were all struggling California born actors and close friends, sharing apartments in various two-person combinations while living in New York City in the 1960s. To support himself between acting jobs, he was working as a uniformed doorman at a Howard Johnson restaurant in New York when, as bad luck would have it, he ran into a despised Pasadena Playhouse instructor who once told him he was not good enough to be an actor. Reinforcing "The Least Likely To Succeed" vote, the man said to him, "See, Hackman, I told you you wouldn't amount to anything." From then on, Hackman was determined to become the finest actor he possibly could. The three former roommates have since earned 19 Academy Award nominations for acting, with five wins. Hackman got various bit roles, for example on the TV series Route 66 in 1963, and began performing in several Off-Broadway plays. In 1964 he had an offer to co-star in the play Any Wednesday with actress Sandy Dennis. This opened the door to film work. His first role was in Lilith, with Warren Beatty in the leading role. In 1967 he appeared in an episode of the television series The Invaders entitled The Spores. Another supporting role, Buck Barrow in 1967's Bonnie and Clyde, earned him an Academy Award nomination as Best Supporting Actor. In 1968 he appeared in an episode of I Spy, in the role of "Hunter", in the episode "Happy Birthday... Everybody". In 1968 he starred in the CBS Playhouse episode "My Father and My Mother" and the dystopian television film Shadow on the Land. In 1969 he played a ski coach in Downhill Racer and an astronaut in Marooned. Also that year, he played a member of a barnstorming skydiving team that entertained mostly at county fairs, a movie which also inspired many to pursue skydiving and has a cult-like status amongst skydivers as a result: The Gypsy Moths. He nearly accepted the role of Mike Brady for the TV series, The Brady Bunch, but was advised by his agent to decline in exchange for a more promising role, which he did. In 1971 he was nominated for the Best Supporting Actor Academy Award again, this time for 1970's I Never Sang for My Father, working alongside Melvyn Douglas and Estelle Parsons. The next year, he won the Academy Award for Best Actor for his performance as New York City Detective Jimmy "Popeye" Doyle in The French Connection, marking his graduation to leading man status. He followed this with leading roles in the disaster film The Poseidon Adventure (1972) and Francis Ford Coppola's The Conversation (1974), which was nominated for several Oscars. That same year, Hackman appeared in what became one of his most famous comedic roles as The Blindman in Young Frankenstein. He later appeared as one of Teddy Roosevelt's former Rough Riders in the Western horse-race saga Bite the Bullet (1975), as well as in that year's sequel French Connection II. In 1975 he also appeared in Night Moves, receiving a BAFTA nomination for lead actor. He appeared in the star-studded war film A Bridge Too Far (1977), as Polish General Stanisław Sosabowski. 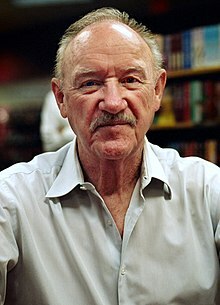 Hackman showed a talent for both comedy and the "slow burn" as criminal mastermind Lex Luthor in Superman: The Movie (1978), as he would in its 1980 and 1987 sequels. Gene is someone who is a very intuitive and instinctive actor...The brilliance of Gene Hackman is that he can look at a scene and he can cut through to what is necessary, and he does it with extraordinary economy—he's the quintessential movie actor. He's never showy ever, but he's always right on. In 1990 the actor underwent an angioplasty, which kept him from work for a while, although he found time for Narrow Margin—a remake of The Narrow Margin (1952). 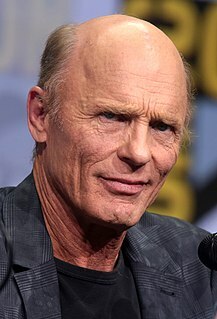 In 1992 he played the sadistic sheriff "Little" Bill Daggett in the western Unforgiven directed by Clint Eastwood and written by David Webb Peoples which earned him a second Oscar, this time for Best Supporting Actor. The film won Best Picture. In 1993 he appeared in Geronimo: An American Legend as Brigadier General George Crook. He co-starred with Tom Cruise as a corrupt lawyer in The Firm (1993) and appeared in a second John Grisham story in 1996, playing a convict on death row in The Chamber. 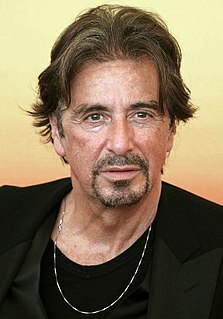 In 1995 he played an inept Hollywood producer-director named Harry Zimm in Get Shorty and the villainous fast-draw champion John Herrod in The Quick and the Dead opposite Sharon Stone, Leonardo DiCaprio and Russell Crowe, as well as submarine Captain Frank Ramsey in the film Crimson Tide with Denzel Washington. In 1996 he took a comedic turn as conservative Senator Kevin Keeley in The Birdcage with Robin Williams and Nathan Lane. He also co-starred with Will Smith in the 1998 film Enemy of the State, where his character was reminiscent of the one from The Conversation. Hackman starred in the David Mamet crime film Heist, as an aging professional thief of considerable skill who is forced into one final job and the comedy Heartbreakers alongside Sigourney Weaver, Ray Liotta and Jennifer Love Hewitt. He had a small part as Arnold Margolese in Gore Verbinski's The Mexican. He also had a leading role as the head of an eccentric family in the ensemble cast film The Royal Tenenbaums and in yet another Grisham legal drama, Runaway Jury, at long last getting to make a picture with his longtime friend Dustin Hoffman. Hackman's final film to date was Welcome to Mooseport (2004), a comedy with Ray Romano, when he portrayed a former President of the United States. On July 7, 2004, Hackman gave a rare interview to Larry King, where he announced that he had no future film projects lined up and believed his acting career was over. In 2008, while promoting his third novel, he confirmed that he had retired from acting. When asked during a GQ interview in 2011 if he would ever come out of retirement to do one more film, he said he might consider it "if I could do it in my own house, maybe, without them disturbing anything and just one or two people." In 2016 he narrated the Smithsonian Channel documentary The Unknown Flag Raiser of Iwo Jima. Together with undersea archaeologist Daniel Lenihan, Hackman has written three historical fiction novels: Wake of the Perdido Star (1999), a sea adventure of the 19th century; Justice for None (2004), a Depression-era tale of murder; and Escape from Andersonville (2008) about a prison escape during the American Civil War. His first solo effort, a story of love and revenge set in the Old West titled Payback at Morning Peak, was released in 2011. A police thriller, Pursuit, followed in 2013. In 2011 he appeared on the Fox Sports Radio show The Loose Cannons, where he discussed his career and novels with Pat O'Brien, Steve Hartman, and Vic "The Brick" Jacobs. 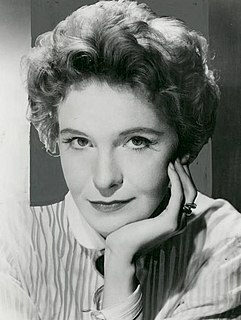 Hackman's first marriage was to Faye Maltese. They had three children: Christopher Allen, Elizabeth Jean, and Leslie Anne Hackman. The couple divorced in 1986 after three decades of marriage. In 1991 he married Betsy Arakawa. They have a home in Santa Fe, New Mexico. Hackman competed in Sports Car Club of America races driving an open wheeled Formula Ford in the late seventies. In 1983 he drove a Dan Gurney Team Toyota in the 24 Hours of Daytona Endurance Race. He also won the Long Beach Grand Prix Celebrity Race. In January 2012 the then 81-year-old actor was riding a bicycle in the Florida Keys when he was struck by a car. Although it was at first reported that he had suffered head trauma, he sustained only minor injuries. 1961 Tallahassee 7000 Joe Lawson Episode: "The Fugitive"
1963 Route 66 Motorist Episode: "Who Will Cheer My Bonny Bride?" Hackman, Gene, and Daniel Lenihan. Wake of the Perdido Star. New York: Newmarket Press, 1999. ISBN 978-1-557-04398-6. Hackman, Gene, and Daniel Lenihan. Justice for None. New York: St. Martins Press, 2004. ISBN 978-0-312-32425-4. Hackman, Gene, and Daniel Lenihan. Escape from Andersonville: A Novel of the Civil War. New York: St. Martin's Press, 2008. ISBN 978-0-312-36373-4. Hackman, Gene. Payback at Morning Peak: A Novel of the American West. New York: Simon & Schuster Inc, 2011. ISBN 978-1-451-62356-7. Hackman, Gene. Pursuit. New York: Pocket Books, 2013. ISBN 978-1-451-62357-4. ^ a b "Hackman, Eugene, Cpl". www.marines.togetherweserved.com. Retrieved November 14, 2017. ^ "Eugene Allen Hackman - California, Birth Index". FamilySearch. 30 January 1930. Retrieved 26 October 2014. ^ "Gene Allen Hackman - United States Census, 1940". FamilySearch. Retrieved 26 October 2014. ^ "Eugene A Hackman - United States Census, 1930". FamilySearch. Retrieved 26 October 2014. 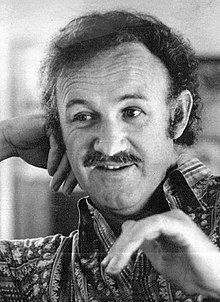 ^ "Gene Hackman Biography (1930–)". 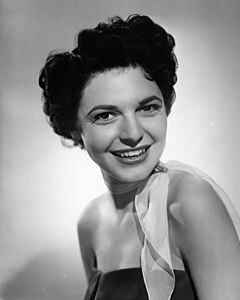 Filmreference.com. Retrieved 2010-06-17. ^ a b "Anna Lyda Elizabeth Gray - Canada, Births and Baptisms". FamilySearch. 13 May 1904. Retrieved 26 October 2014. ^ "Gene Hackman from Danville in 1940 Census District 92-22". archives.com. ^ a b Norman, Michael (1989-03-19). "HOLLYWOOD'S UNCOMMON EVERYMAN". New York Times. Retrieved 2010-07-19. ^ a b Leman, Kevin (2007). What Your Childhood Memories Say about You: And What You Can Do about It. Tyndale House Publishers, Inc. p. 154. ISBN 1-4143-1186-9. ^ a b "GENE HACKMAN LEAST LIKELY TO SUCCEED". Deseret News. Deseret News. Retrieved 16 September 2018. ^ "1945 Storm Lake High Yearbook". classmates.com. Retrieved 28 July 2014. ^ "Gene Hackman profile". Eonline.com. Archived from the original on 29 October 2008. Retrieved 2010-08-11. ^ Lee, Luaine (8 May 1986). "PASADENA PLAYHOUSE, A STAR CRUCIBLE, REOPENS". Chicago Tribune. Archived from the original on 2018-11-16. Retrieved 16 September 2018. ^ "Dustin Hoffman and Gene Hackman". Xfinity. Comcast. Archived from the original on 2011-04-16. Retrieved December 31, 2011. ^ Stevenson, Laura (5 September 1977). "Robert Duvall, Hollywood's No. 1 Second Lead, Breaks for Starlight". People. Time Inc. Archived from the original on November 4, 2013. Retrieved December 9, 2012. ^ Meryman, Richard (March 2004). "Gene Hackman, Dustin Hoffman, and Robert Duvall: Three Friends who Went from Rags to Riches". Vanity Fair. Condé Nast. Retrieved 16 September 2018. ^ "VINTAGE MOVIES: "THE FRENCH CONNECTION"". Magnet. 7 August 2013. Retrieved 16 September 2018. ^ Roberts, Jerry (June 5, 2009). Encyclopedia of Television Film Directors. Scarecrow Press. p. 500. ISBN 9780810863781. Retrieved February 3, 2017 – via Google Books. ^ "You'll never watch 'The Brady Bunch' the same way again after reading these 12 facts". Me TV. 9 June 2016. Retrieved 16 September 2018. ^ "Weekend Top 10, Aug. 3, 2018". Champaign/Urbana News-Gazette. Champaign/Urbana News-Gazette. Retrieved 16 September 2018. ^ "1989 Oscars". Oscars. Oscars. Retrieved 17 August 2018. ^ "MAFFEI: 'Hoosiers' still a classic after 25 years". San Diego Union Tribune. San Diego Union Tribune. Retrieved 17 August 2018. ^ "Still the Tough Guy". LA Times. LA Times. Retrieved 17 August 2018. ^ "The Birdcage at 20". NY Daily News. NY Daily News. Retrieved 17 August 2018. ^ "FILM REVIEW; Forget the Girl and Gold; Look for the Chemistry -". New York Times. New York Times. Retrieved 16 September 2018. ^ "Cameron Diaz and other celebs who have retired from stage and screen". AZ Central. AZ Central. Retrieved 18 August 2018. ^ "Business Wire, November 14, 2002. Hollywood. 'Gene Hackman to Receive HFPA'S Cecil B. DeMille Award At 60th Annual Golden Globe Awards to be Telecast Live on NBC on Sunday, January 19, 2003'". Findarticles.com. 2002-11-14. Archived from the original on 2012-07-09. Retrieved 2010-06-17. ^ Blair, Iain (2008-06-05). "Just a Minute With: Gene Hackman on his retirement". Reuters. Retrieved 2008-07-19. ^ Michael Hainey (2011-06-01). "Eighty-one Years. Seventy-nine Movies. Two Oscars. Not One Bad Performance". GQ. Retrieved 2017-02-25. ^ "Hackman's, Bergen's talents shine on film, in books". Bouldercityreview. Bouldercityreview. Retrieved 16 September 2018. ^ "Unknown Flag Raiser of Iwo Jima': Gene Hackman narrates". Orlando Sentinel. Orlando Sentinel. Retrieved 16 September 2018. ^ Blair, Ian (5 June 2008). Tourtellotte, Bob; Reaney, Patricia (eds.). "Just a Minute With: Gene Hackman on his retirement". Reuters. Retrieved 19 July 2018. ^ Daniel, Douglass K. (30 July 2011). "'Payback at Morning Peak': Actor Gene Hackman revisits the West — as a writer". Seattle Times. Retrieved 3 August 2018. ^ Ross, Shane (6 August 2000). "The Gene genie works his magic off screen". Irish Independent. INM Website. Retrieved 24 August 2018. ^ Brady, James (December 30, 2001). "In Step with Gene Hackman". Parade. The Blade. Retrieved September 28, 2013. ^ Norman, Michael (19 March 1989). "Hollywood's Uncommon Everyman". NY Times. The New York Times Company. p. 6029. Retrieved 3 August 2018. ^ Botnar, Katy (1 September 2017). "What you don't know about the retired movie legend Gene Hackman and his family". Body Height Weight. Retrieved 3 August 2018. ^ Smith, Sam (10 May 2018). "Are Betsy Arakawa and Gene Hackman still Together?Know about their Married Life and Children". Hitberry. Retrieved 3 August 2018. ^ "Police: Hackman knew homeless man he slapped in NM". The Associated Press, AP Regional State Report - New Mexico. Nov 1, 2012. ^ Finke, Nikki (13 March 1998). "PLEASURES OF THE ROAD : TRACK STARS : Paul Newman, Gene Hackman, Perry King and Lorenzo Lamas rap on racing". LA Times. Retrieved 24 August 2018. ^ Siano, Joseph (23 October 2002). "ON THE TRACK; Movie Stars as Racecar Drivers: What's Their Motivation?". NY Times. The New York Times Company. Retrieved 24 August 2018. ^ Frankel, Andrew (2 January 2016). "Actors with driving ambition". Telegraph. Telegraph Media Group Limited. Retrieved 24 August 2018. ^ "Grand Prix of Long Beach 2016 Fan Guide" (PDF). Grand Prix of Long Beach. Retrieved 9 January 2017. ^ Parziale, James (13 April 2013). "Most famous fan of every NFL team". MSN.com. p. 15. Retrieved 3 August 2018. ^ Parziale, James (20 October 2016). "Most famous fan of every NFL team". Fox Sports. FOX. Retrieved 3 August 2018. ^ BART HUBBUCHThe Times-Union (2005-11-29). "JAGUARS NOTEBOOK: Chatter angers Cardinals". Jacksonville.com. Archived from the original on 2012-01-04. Retrieved 2018-09-16. ^ "Gene Hackman struck by car while riding bike". CNN Entertainment. 14 January 2012. Retrieved 3 August 2018. ^ "Gene Hackman, 81, flown to hospital with body and leg injuries after being hit by car while cycling". Mail Online. Retrieved 2017-01-18. ^ "Star Rote for Gene Hackman". The New York Times. 31 August 1964. Retrieved 26 October 2014. Dustin Lee Hoffman is an American actor and director. Hoffman has been called one of the greatest actors of all time. He is known for his versatile portrayals of antiheroes and emotionally vulnerable characters. He is the recipient of various accolades including two Academy Awards, six Golden Globe Awards (including the Cecil B. DeMille Award), four BAFTAs, three Drama Desk Awards and, two Emmy Awards. 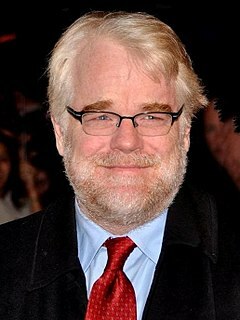 Hoffman received the AFI Life Achievement Award in 1999 and the Kennedy Center Honors Award in 2012.